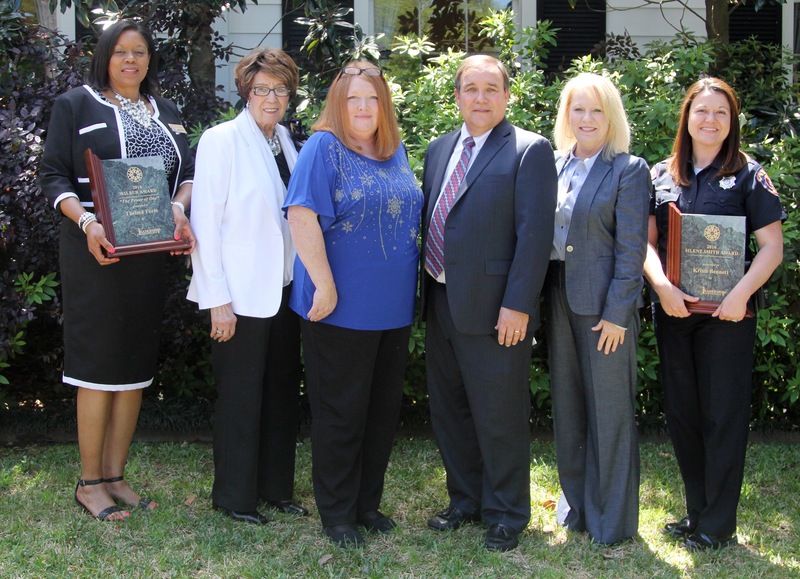 The 2018 Wilbur Award for service by an organization was presented to Opportunities, Inc. Opportunities has served the community for over 50 years, starting with six special needs children in 1966. Opportunities is an organization that touches all ages in the community, from the beginning of life to the end of life. For the adult clients, Opportunities is in the process of transitioning from sheltered workshops to supported employment. It has made a tremendous difference in the quality of life in our community as well as a lasting impact for thousands of families by providing services in day programs for children and adults. This year’s adult recipient of the Wilbur Award is Dr. Matthew Young, who is a leader in our community for Health Education. Dr. Young annually performs free physical exams for Leaders and youth to attend Boy Scout, Girl Scout, church camps, and athletics, and consistently makes himself available to organizations regarding health issues that serve the public. Dr. Young is the Medical Director for the Texarkana College EMS program and Texarkana Emergency Center. Dr Young serves as Southwest Arkansas Regional Trauma Advisory Council Chairman as well as in many other roles. 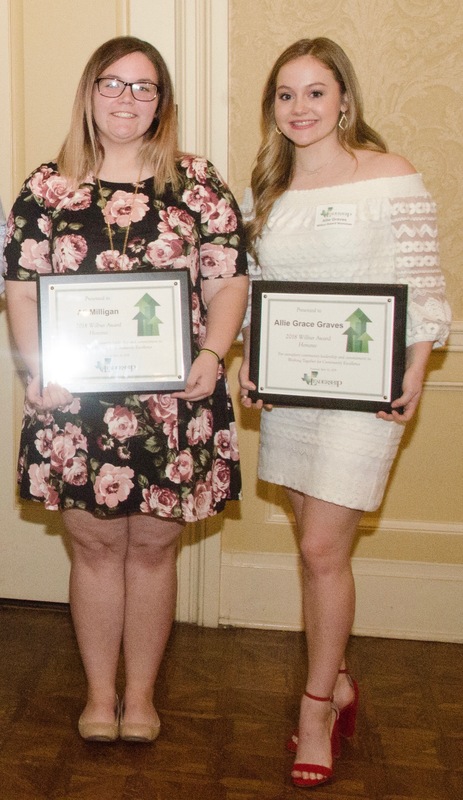 • Ali Milligan and Allie Grace Graves - Joint recipients of 2018 Wilbur Awards for outstanding community leadership by YOUTH This year’s Wilbur Awards for Youth Leadership were presented to two outstanding young women of our community: Ali Milligan of Arkansas High and Allie Grace Graves of Texas High. Ali Milligan is a junior at Arkansas High where she is President of the campus Interact Club with over 400/ hundreds of hours of community service. Ali worked with the Salvation Army to identify the greatest need of the people served by the organization, and has since worked to fill that need, providing kits of feminine products to their clients, with the ambitious goal of distributing 1000 kits before she graduates in 2019. Allie Graves is very active at Texas High, as well as at First Baptist Church, the Randy Sam’s Shelter and the Community Cafe at Williams Memorial Methodist. Allie was adopted at age 5 years old out of foster care system and is an overcomer of child abuse. For this reason, she chooses to spend her time giving back to the organizations that helped her become the successful person she is. She has over 750 hours of community service in Texarkana and the surrounding areas, and has spoken to over 15,000 people telling her story. Serving our community is Altrusa’s mission. 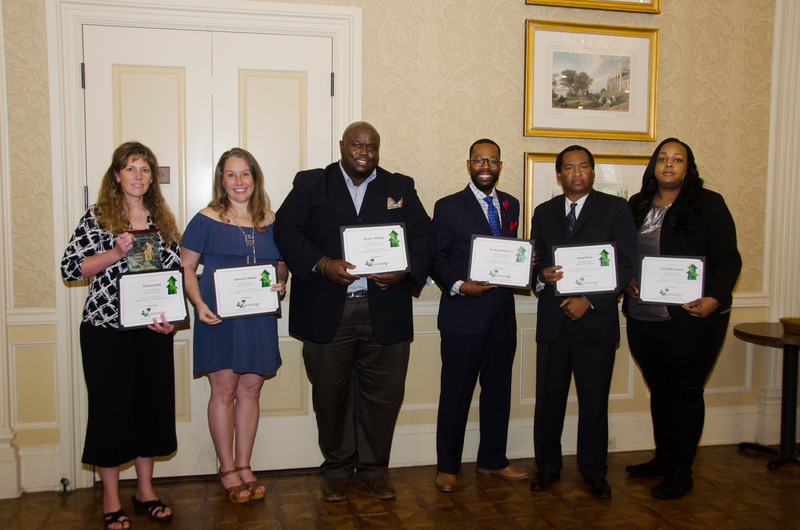 Altrusa International of Texarkana’s leadership reflects achievements and community impact related to the key community values of Educational Excellence, Personal Well-being of Citizens and Working Smart for our Best Collective Future. They have served 100 meals at the Randy Sam’s Shelter, volunteered for CASA, ArkLaTex Run the Line, stuffed Christmas stockings with goodies, and hosted a Wellness Convention and many more projects to serve our community. They use their leadership, contacts and community service to make where we live an even better place. The Damien Davis Foundation focuses on feeding and clothing the less fortunate community in Texarkana. The CEO, Damien Davis, was named the Hometown Hero for August 2017. The foundation also helps the Randy Sam’s Shelter. The goal this year is to make people more aware of the existence of the foundation and to improve it. Damien Davis is a great leader for Texarkana, does work for the homeless, the church under the bridge, and goes out of his way to reach out to young kids who need a role model. The Texas Urban Transit District helps provide transportation to many in the community. They participate in the National Free Ride Day. and also offer free rides to community events. Students regularly use their service and the busses enable many others to ride all over the city. Dr Cutrer joined A&M Texarkana as President in January 2013. Her extensive list of community service includes United Way Board of Directors, the LIFT Advisory Board, TRAHC Board of Directors, Wilbur Smith Rotary Club, St James Episcopal Church, CHRISTUS Quality Committee of the board, among others. Dr Cutrer models her beliefs in her daily life and serving her community is second nature to her. Her strong belief in the university’s role as a partner with the community and a catalyst for addressing community issues has strengthened the relationship between A&M-Texarkana and the community. Robert DelGiorno was living in Kenner, Louisiana when Hurricane Katrina devastated the Gulf coast; he and his family evacuated to Texarkana. Robert purchased several radio stations in Arkansas, Texas and Louisiana. He is the biggest advocate and cheerleader for our area high school students, his enthusiasm inspires the students and fans alike. He believes in educational excellence and each year donates thousands of dollars in scholarships to area schools for both athletic and band students. Unsurprisingly, Robert was also the first in our area to organize a fundraiser to help the victims of Hurricane Harvey. Joey’s most admirable characteristic is his servant leadership through sharing his time, talents and resources to help improve our community. Joey seeks out opportunities in our community to improve the lives of every person living here, and he does so with a giving heart. He participates in training programs with TISD high school graduates and Texarkana College Vocational programs. His community service includes Texarkana Chamber Board member, Treasurer, as a Member of a Rotary Club, Texarkana Resources and much more. Warren implemented and managed the Texarkana Chamber of Commerce Business Retention and Expansion (BRE) program and was instrumental in creating and implementing BRE policy. Warren currently serves as Vice President of the Southwest Arkansas Development Alliance, which is a regional economic development group that consists of eight counties. He is a member of Texarkana Regional Arts & Humanities Council’s (TRAHC) African American Committee. He also narrated and conducted the Scott Joplin documentary. Mark and his wife, Cathy, were given the 2017 Marie Benson Award in from Hands On Texarkana, an award which recognizes volunteers who have given back to the community. Mark is the Chief Financial Officer, Ledwell and Son Enterprises and is currently serving as Chairman of the Texarkana Chamber of Commerce. He is an active member of St James Episcopal Church serving in multiple roles. Mark loves people of all ages. He is always the first one to take food to someone’s home or to comfort a friend when he’s needed. He is a champion among the young and old; his grandchildren lovingly call him Vegas. Betty is a City Council member for Texarkana, Texas. She regularly cleans downtown and her neighborhood from litter beyond her ward. She is an active member of DAR and is involved in our community. She is not afraid to speak her mind to improve her community. Will Norton is very involved in student leadership at Texas High School. He is active in Boy Scouts and volunteers in the community. He is a senior and ranks in the Top 10 of his class. He is a member of the National Honor Society, is an AP Scholar with Distinction and a member of Mu Alpha Theta Math Honor Society. He is a member of Williams Memorial United Methodist Church where he has served as Sunday School teacher to 2nd and 3rd graders. He has participated in Student Council, a delegate for Texas Boys State, Today’s Youth Tomorrow’s Leaders and is Texas High boys’ swim team captain. Kate has been an active participant in the Interact Club for the last several years. Her service projects include working with the Runnin’ WJ Ranch, Salvation Army, Mission Texarkana and many others. She is also active with the Partner’s Club helping the Special Olympics events on campus. She is Senior Class President and an officer in Student Council. She is an active member of her youth group at City Church and serves on their Leadership Team. Jay is the current student body President at Texas High School. He was awarded the William Pedigo scholarship for selflessness and he was one of two students selected from Texas to attend United States Senate Youth Program in Washington, DC. 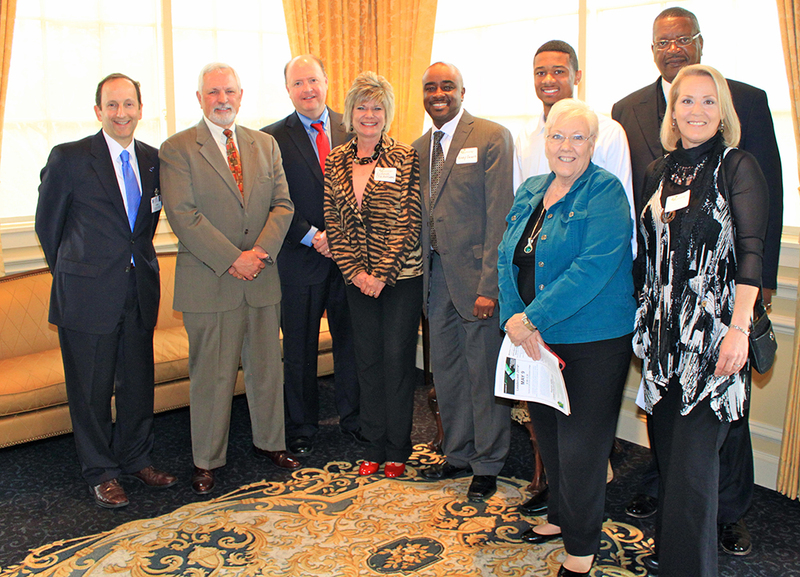 Recently, Jay spoke in Galveston at the Texas Association School Board Conference to school board members. Jay is in the process of creating an education based website and app. He has much support from different organizations and school districts. He hopes to have the website/app available to schools beginning the 2018-2019 school year. Details of the many accomplishments of each, along with others honored as nominees, follow in alphabetical order by year, so that the work of these organizational and individuals leaders might continue inspire others to step up as exemplary leaders to others. Note: Due to organizational changes over the years, and the fact that many files were destroyed in one transition, Leadership Texarkana has significant gaps in the historical records for the organization and in particular lists of past Wilbur Honorees. If you have any information which might help complete the Leadership Texarkana records, please contact us. 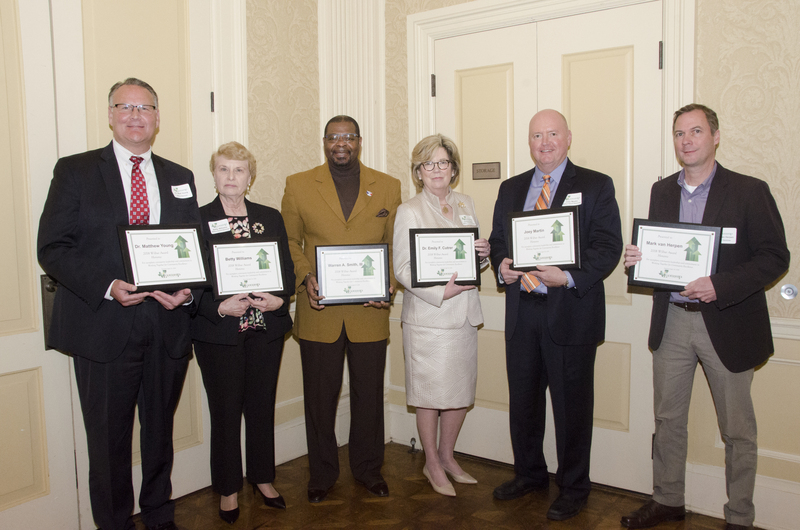 • BELIEVE IN BEVERLY ASSOCIATION - 2017 Wilbur Award recipient Charles Tyous formed a small group in 2012 to bring back the Beverly neighborhood. With the passion and drive from this faithful few, the love and community well-being of this neighborhood has grown exponentially. In 2016, Mayor Bruggeman and the Texarkana, Texas City Council members made this hardworking group official. Some of the activities they organize are: back to school cook outs to unite the community; clothing give aways; clean up days in which generous sponsors assist Beverly with their revitalization efforts; and a community garden. They also made their debut this year in the Christmas parade in which they were able to provide the neighborhood children a new and rewarding experience. Beverly’s participation in National Night Out overflowed into neighboring areas. Finally, this group is working tirelessly to reopen their Beverly Community Center for all to enjoy. • Brotherhood of Lonoke Baptist Church The Brotherhood of Lonoke Baptist Church is constantly working on outreach to the community. For the last several years it has been a group sponsor of the Martin Luther King Breakfast, ensuring that the Breakfast will continue to offer cultural riches for the entire community. The Brotherhood is also involved in Educational Excellence and Working Smart for our Best Collective Future by building a better community with peace for all citizens. • Gamma Kappa Zeta Chapter of Zeta Phi Beta Sorority, Inc. Gamma Kappa Zeta Chapter of Zeta Phi Beta Sorority has been in Texarkana for 66 years, serving the community by volunteering at such events as Stuff the Bus, the College Fair, Race for the Cure, and TISD/TMS Precious Gems. For over twenty years, with brother organization, Phi Beta Sigma, they have recognized women yearly at a February banquet This sorority also makes donations to and/or volunteers with the TRAHC African American Committee, the Healing Place, CASA, THS DREAM program and Heritage Plaza. • Interact Club The Interact Club has been an active community Service club for five years at Arkansas High. The Club currently has forty active student Members who participate in after school and weekend events with organizations such as: Opportunities, Inc., the Friendship Center, Habitat for Humanity, Running WJ Ranch, Race for the Cure, Keep Texarkana Beautiful, Community Clean Up Days, and Special Olympics. The last two years, the Club has become more involved in district-related events by assisting at Kindergarten Round-Up and Science Fair nights. The Club has participated in local festivals such as Railfest, the Dragon Boat Races, and the Mardi Gras parade. Another special focus is the Partners’ Club where general education students are paired with special education students to assist in completing various activities. • The Scholars The Scholars organization provides entrepreneurship programs for students to increase success and build skill. The Goal of The Scholars is to assist students in gaining knowledge for the world of business. Its guiding principles are organizational effectiveness, consensus, collaborations, and cooperation. In order to accomplish this, the Scholars believe in the investment of quality time, community service, and education. All of these are vital for students to succeed in today’s fast-paced, ever-changing technological world. The Scholars organization concentrates on Math, Science, the Arts, Community Service, History, and Life Skills. 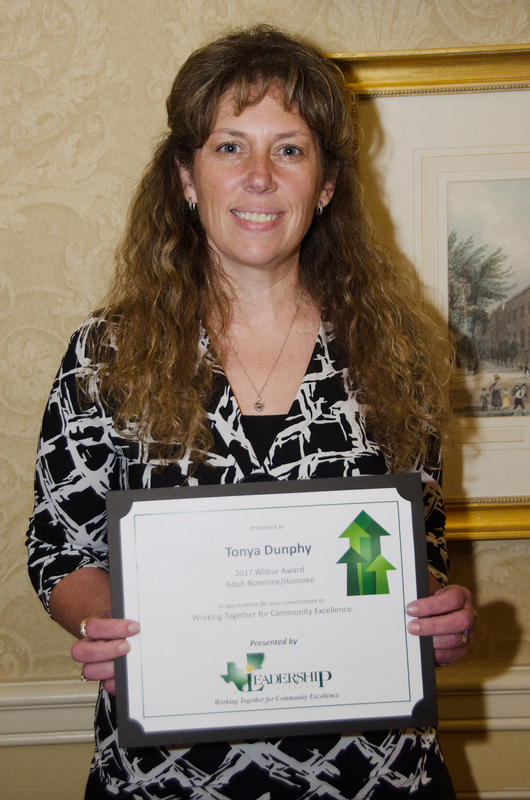 • Tonya Dunphy - 2017 Wilbur Award Recipient For the past five years, Tonya Dunphy has sponsored the Arkansas High Interact Club, a community service-based club for high school students. She was instrumental in starting the club and making sure our high school students understand the importance of volunteering in the community. Over the years, they have partnered with multiple community organizations including The Friendship Center, Harvest Texarkana, Running W.J. Ranch, Habitat for Humanity, CASA Color Run, Race for the Cure, Boy Scouts, and Special Olympics. Tanya leads the Interact Club members to participate in our local festivals including the Dragon Boat Races, Mardi Gras Parade, and Railfest. In addition to working with community partners, the Interact club participates at other schools in the district to help with Fall Festivals, Science Fairs, and the district-wide Kindergarten Round-Up. Mrs Dunphy not only contacts the local community partners to set up these volunteer opportunities, but she attends every service project with the students. As an advocate for Special Needs students and adults, Tonya has arranged once a month for three years for the high school students to meet at the Elks Lodge to “hang out’ and dance with the adult residents of Opportunities. Tonya is also very involved with Arkansas Special Olympics, is a Student Council sponsor, and has sponsored the campus Fellowship of Christian Athletes for three years. • Tyeshekk Antwine Ms. Antwine is the Mayor of Garland, Arkansas and an Apartment Manager in Texarkana Arkansas- Village Park South. She has worked to build strong communities, helping the citizens and residents to grow and informing them of programs available. eed the hungry. She and her husband began the Clay Eichler Memorial Fund in 2015, after the tragic death of their son, Clay. The memorial fund provides financial resources to various nonprofits in Texarkana. The first year, the proceeds funded four full four-year scholarships to students at TAMU-T. In 2016, the foundation provided seed money to start the ArkLaTex 100 Club, which provides immediate assistance to fallen police officers and firefighters killed in the line of duty from Bowie and Miller Counties, and which has also provided training equipment for the officers. In 2017, Clay’s Golf and Guitars will again benefit our officers. • Laney Harris Mr. Harris is a member of the City Board for Texarkana Arkansas and a member of the Arkansas School board. He helps to build strong outreach and help citizens become more knowledgeable of what’s going on in the city and the schools, helping to educate the community all around. • Dr Brian Matthews Dr Matthews is Assistant Professor of Management at TAMU-T. He is a native of Texarkana and a graduate of Texas High School where he now serves as President of the Diversity Awareness Committee. He serves on multiple boards, including the Texarkana, Texas City Council (representing Ward 4), The Healing Place, CHRISTUS St Michael Rehabilitation, Partners in Education and Texarkana Chamber of Commerce, to name a few. He also has received numerous awards including a Certificate of Appreciation- Bethel Seventh Day Adventist Church (2017), Distinguished Gentlemen Award- Alpha Phi Alpha Fraternity, and Dr GW Thompson Award from NAACP. Dr. Matthews is very active in his church, Greater St John MB Church. He serves as president of the Brotherhood and serves as a deacon. • Derek J Murphy Pastor Derek Murphy has lived a life of helping to build people, of encouraging and mentoring people of all ages, whether it is through his sermons in his local church, speaking to countless groups, or volunteering through the Texarkana community. He encourages through social media and his blog, Rewriting Murphy’s Law and Work it Wednesday posts. His has been the speaker at the NAACP MLK Celebration and Community Candlelight Vigil and has sponsored events to encourage leaders: Be A Man-Men’s Conference in 2016 and the Leadership Summit. His awards include Drum Major Award at the MLK Acts of Kindness Gala 2017 and speaker award at MLK celebration. He is the author of three books: Christmas From My Point of View, What Leadership is Not, and Rewriting Murphy’s Law. • DeAnna O’Malley DeAnna started volunteering for her community when she was 11 years old. She created a program called DATE (Drug, Alcohol, Tobacco Education). She learned at that early age that if youth stayed occupied in positive activities, it left little room for them to get involved with negative things. Into her adulthood, she continues her role as a public servant by working many jobs that involve recruiting youth and adult volunteers to raise awareness about the issues in the community. She has worked with anti-bully campaigns and hosts a number of National Night Out Block parties. 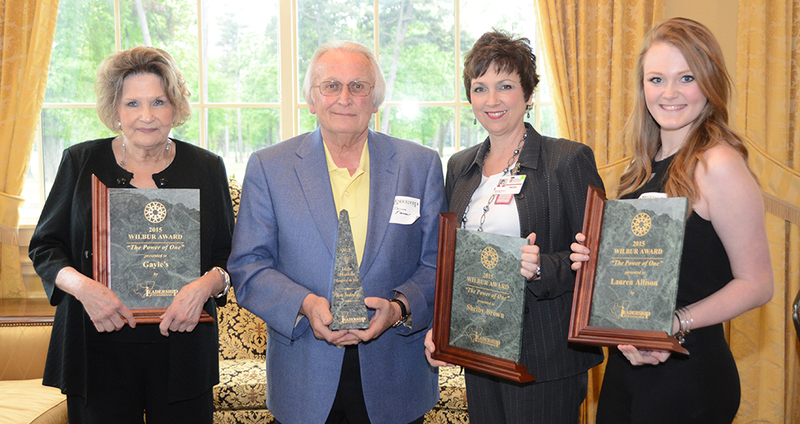 She received the Arkansas State Employee Association (ASEA) award: Outstanding State Employee of the Year. She serves on the boards of Neighborhoods, USA, Resource Development, Main Street Texarkana, among others. • Ricky Cooks - recipient of 2017 wilbur award for outstanding YOUTH A senior at Texas High, Ricky has been an active volunteer in the Texarkana community (over 1100 hours in four years) and has been a great impact leader for the school and community over his years at Texas High. Volunteer accomplishments include: Instrumental in creating the Thirst Project at THS, spearheading a campaign to raise $12,000 for a water well in Swaziland, Africa, volunteering at Community Café, Race for the Cure, Tiger Christmas Angel recycling projects at campuses in TISD, tutoring elementary students, serving as a valet at community events, serving as a mentor, volunteering at Randy Sam’s Shelter, as a CHRISTUS St. Michael Health System Junior Volunteer, STEM Ambassador, and as Junior Counselor for over 100 student leaders across the state at various leadership workshops for TASC. As Vice President, Ricky adopted a state initiative to help children in elementary develop leadership and academic skills. Ricky’s academic honors include: VP of the Texas Association of Student Councils, addressing over 6,000 people as state leader; Alpha Phi Alpha Fraternity Rising Star, Rotary Club Leadership Award, THS Student Body President, selected to US Senate Youth program, National Honor Society, Member of Mu Alpha Theta and Quill & Scroll, U.S. Rep. Ratcliffe’s Congressional Student Leadership Program. • Shelby Dunphy-Day - recipient of Rising Star Award (for young honorees) Shelby is a seventh grade student at North Heights Junior High School. She turned her passion for animals into a way to serve her community, promoting the spaying and neutering of pets and encouraging youth voluntarism. She began her community service work in elementary school by volunteering at a shelter and selling paintings she created to raise money for the shelter. In 2015, Shelby created the Six Leg Fun Run and 5K to raise funds to purchase a mobile adoption trailer to donate to the shelter. Businesses and groups provide activities and games during the event which serves both competitive runners and walkers alike. The shelter and other rescue groups bring adoptable pets to the event. More than 20 animals have been successfully placed for adoption during the two-race event. The mobile adoption trailer will provide a safe and convenient way for shelter pets to be showcased at community events and a greater opportunity for adoption. Shelby has been widely recognized for her efforts. In 2015, she received the President’s Volunteer Service Award from President Obama and she traveled to Washington, D.C. to receive the Prudential Spirit Community award in 2016. • Tyler Crane Tyler is a student at Arkansas Independent School District. He has been an active participant in the Interact Club for the past several years; the Interact Club is a community service based club on the campus that allows students to learn the importance of giving back to their community. Tyler has participated in numerous Interact Service Projects, working at Randy Sam’s Shelter, Runnin J. Ranch, Salvation Army, Keep Texarkana Beautiful Clean-Up Days, Opportunities, dance with adult residents, Race for the Cure, CASA Color Run, Six-Leg Fun Run, and the Dragon Boat Races to name a few. In addition to all of his community service work, Tyler is an excellent artist; he sculpts and has many unique sculptures that have been displayed in art shows. • Jenna Williamson Jenna is a Texas High freshman, enrolled in the Ross Perot Academy. Jenna developed a public platform a few years ago called KOOL TO BE KIND. She has volunteered more than 500 hours in the past 18 months, many beyond regular school requirements. She is a cheerleader, a freshman leader in Student Council, UIL Team, plays the piano, teaches Bible Basics to 2nd graders and loves to cook and sew. Jenna collected 2000 pencils for a school in Africa and held donation drives for Randy Sam’s Shelter for the past two summers. Jenna challenges others on social media to participate in the KOOL challenges. She held a KINDNESS pep rally, speaking to approximately 175 5th and 6th graders on the importance of KINDNESS. She has been asked to speak to a groups of young girls through a mentoring system. Jenna is a true role model and just the type of young lady that we need in our community for our youth. Jenna recently joined the International group Random Acts of Kindness Foundation and is RAKtivist (Random Acts of Kindness Activist). Caddo Area BSA Council - Troop 16 FBC Community service is at the heart of this BSA troop, which is the largest troop in our area. Troop 16 completed 1250 community service hours in 2015. The mission of Boy Scouts and Troop 16 is to prepare young people to make ethical choices over their lifetime by instilling in them the value of the Scout oath/law. Some of the organizations they have assisted just to name a few are American Cancer Society, Texarkana Animal Shelter, First Baptist Church (Moores Lane), Salvation Army and many others. These young men and their leaders are making a big difference to lift our community and leave it better than ever one service hour at a time. Domestic Violence Prevention Over the last year, Domestic Violence Prevention, has sheltered 82 adult victims of violence and 62 children at their safe house. In addition, Domestic Violence Prevention has served 394 non-sheltered victims of violence. The crisis line is answered 24 hours a day and 7 days a week. It has received over 2,000 crisis calls. There are many organizations that support DVP such as Capitol One, Wadley Auxiliary and the United Way. DVP also has a program called Child Safe. It provides children a safe plan to use when there is an outbreak of violence in their home and conflict resolution skills so that they do not repeat the violence. Habitat for Humanity Many people in the community are not aware that there is a local Habitat for Humanity, but there is, and it is thriving. It was formed in the late 80s and since then it has built/remodeled no fewer than fourteen homes in the Texarkana community. Habitat does not give away homes, it assists people to buy a home that could never qualify otherwise, because the mortgage is at 0% interest- “a hand up, not a hand out.” This alone raises the self-esteem of the new homeowner. The new homeowner is required to put in “sweat equity” hours in that they assist in building their own homes. During the build, Habitat depends on local businesses for teams of laborers as well as individuals to participate in the build. Local restaurants donate lunches for all volunteers. Habitat has done all of this without an Executive Director. Habitat is Texarkana at its best! Kiwanis of Texarkana The focus of the Texarkana Kiwanis Club is to improve the quality of life for children in our community. The club provides funding support to multiple organizations including Boy Scouts, Bowie County Special Olympics, CASA, Challenged Outdoorsmen, Domestic Violence, Harvest Texarkana, Literacy Council, Partnership for the Pathway, Running WJ Ranch, Stuff the Bus, TAMUT Young Writer’s Program, Teen Court of Texarkana, and Watersprings Ranch–just to name a few. They support youth programs (K-Kids, Builders, Key Clubs) at every level in area schools, and provide scholarships to TC for area youth. The Club sponsors Aktion clubs at Texarkana Resources and Opportunities for those individuals to participate in a service club. Kiwanis volunteers also fund and build ramps for disabled individuals at their homes each year, in serving the Texarkana community. Terrie Arnold In 2015, Terrie launched a new creative event for Texarkana, in support of the work of the Alzheimer’s Alliance. The event was the Twice As Fine Texarkana Wine Festival– a celebration of food, art, music and wine, which, in its first year, was the second largest event in Texarkana with over 5,000 in attendance. In her new role as Executive Director of this Tri-State Alzheimer’s support organization, she is able to draw on her history leading the Komen Foundation’s Texarkana Race for the Cure, a community-wide team effort which has attracted as many as 10,000 people. Kristi Bennett (Silent Smith Honoree) Kristi is a ten year police officer with the Texarkana, Arkansas Police Department. She currently serves as the Public Information Officer and also organizes many police related community events such as the National Night Out, Shop with a Cop, Cops and Kids. Kristi conceived and implemented a community oriented service program targeting school aged students from 5th to 12 grade called PRIDE (Personal Responsibilities in Daily Efforts). Officer Bennett also revitalized the Citizen Police Academy in 2016. Adults can participate in an overview of how the Texarkana Arkansas Police Department operates on a daily basis. She is very active in the community. Essie Dodd Essie Dodd taught school for 40 years at TISD. Many of her students remember her as a lady with character and grace. She has worked in her church for many years and most recently volunteered at Dunbar and Westlawn Elementary to mentor students. She volunteered at the HOSTS program. She remains active at age 92 in her sorority where she has been a member for over 50 years. Essie remains very active in Gamma Kappa Zeta Chapter, serving as chairperson of the project committee for a number of years and currently serves as Keeper of Documents. She has also volunteered in many community activities with her sorority and church. Thelma Metcalf Forte (Wilbur Honoree) Thelma Metcalf Forte is a servant leader able to adapt her leadership behaviors, characteristics, and ‘tendon’ to every situation or group she interacts with. She is a change agent. This can be seen in her work and accomplishments for the past year as a designated Master Principal. Her contributions to education have made changes for the better for schools and she has maintained, sustained, and surpassed those changes in particular areas. Because of her work, Union received the National School Change Award from the National Principal’s Leadership Institute, one of the only three schools in the nation to receive the award. Math scores rose from 59% to 94% passing. Discipline referrals fell 90%, from initial reports of 1000 referrals per year. Teachers strive for positions on Union’s campus. For her work, Thelma has received many honors. Phillip Parrish Phillip Parrish is a great community leader that seeks to connect the spiritual community together by providing leadership training and activities for others. In February 2016, he hosted a spiritual conference where he brought leaders to the city to provide our area with a broad scope of leaders to enhance leadership skills. Not only does he exemplify leadership skills, he also is very supportive of other leaders and very willing to serve. Alwin Smith Alwin does many, many things behind the scenes that not many people know about. He does a substantial amount of pro bono –or substantially reduced fee–legal work. He is a very devoted church member and is DA for Little River County. He mentors other lawyers in the community. Positions held include: Past Coach and Commissioner of Dixie Youth Baseball, Former Treasurer and Board member of Domestic Violence, General Counsel of Samaritan Charities, Christian Ambassadors, Chairman of Gateway Farm Children’s Home and many others. Cathy Smith Cathy Smith devotes her life to helping populations without a voice. She is a tireless advocate for the homeless and for animals. She implemented a cooking class at the RANDY Sam’s’ Outreach Shelter, she works diligently with the Texarkana Homeless Coalition, was a founding member of the Mardi Bras movement to provide feminine hygiene products for women experiencing homelessness and was instrumental in helping guide people to vote in multiple social media contests including the Bark for the Park efforts and many others. Kaylene Ferguson (Rising Star Honoree) Kaylene is a consistent A Honor Roll student at College Hill Middle School and community volunteer. She is the top student in the 5th grade class. She gives her time and talent to all she comes in contact with. She is a volunteer at the Randy Sam’s Shelter with Tabernacle Baptist Church. She participates with the Susan G Komen Race for the Cure. She is a born leader and her abilities and skills are far beyond her years. She took it upon herself to learn sign language to assist students at school during performances so that they would understand what was going on. Kaylene was chosen as an outstanding young leader by her counselor and attended a week long seminar in Washington, D.C.
Brenton (Brent) Graham Brent currently serves as president of the Liberty-Eylau High School Student Council. Under his leadership, the organization was recently named the District 19 StuCo Treasurer and Sweepstakes winner. He was selected as one of the Outstanding Young Men of Texarkana by the Delta Sigma Theta Sorority in January 2016. He received the Rotary Youth Leadership award 2015 and participated in Leadership Texarkana’s Today’s Youth Tomorrow’s Leaders. Brent has earned 22 college hours while earning a 3.8 high school GPA. He has an outstanding ACT score and plans to major in accounting. Kayce Welch (Wilbur Honoree) Kayce is a senior at Texas High who serves her community and school as well. In 2009, Kayce was diagnosed with Type 1 diabetes, which controlled her life. She decided to not let the disease adversely affect her and participated in Tigervision, Soccer, Student Council and other school events. She created the “One of a kind Diabetes Program” in Texarkana to support 150 school-aged children, their families and other adults living with Type 1 diabetes. She has raised over $30,000 for the Juvenile Diabetes Foundation and KIDS camp for children with diabetes. Her awards include: National Honor Society Induction in 2014, Prudential Spirit Award- Distinguished State Finalist- Texas- 2015 & 2016 and Gold Award- Girl Scouts USA, 2015. Gayle’s: (Wilbur Honoree) Gayle’s is owned and operated by Gayle Hines. The business was opened in 1983. Gayle has been a fashion icon since the 1950’s and is now on the third generation of helping women look and feel their very best about themselves. Gayle’s has donated and contributed to the community through Opportunities Inc., Susan G. Komen Race for the Cure, the Junior League, Texarkana Chamber of Commerce, Texarkana Symphony, and the American Cancer Society. Gayle Hines is a breast cancer survivor and a heart attack survivor. The business is family owned and run on Christian principles. Gayle lives her life wanting her customers to be happy. She would indeed give someone the shirt off her back to help them. Brandy Chewning Lewis: Brandy is making the Arkansas radar left and right in her campaign for making the country greener. She is making a great difference in the community. Brandy’s recycling totals have doubled since she started working for the program two years ago, a program that she built from the ground up. Brandy’s decision to involve school children in her recycling efforts last year to the point of putting Texarkana, USA in the Guinness Book of World Records, speaks for itself. 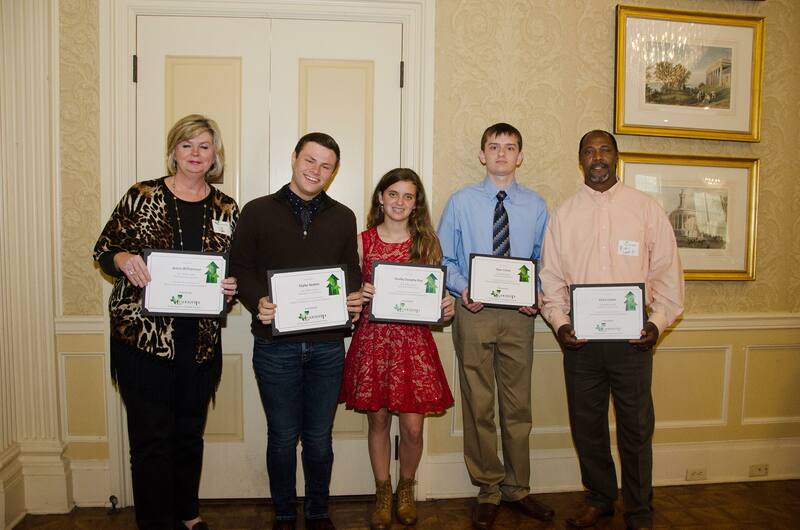 Arkansas High recently won a statewide recycling competition in their first year to participate. Brandy’s leadership was a great asset in that effort. Brandy sets the bar high and gladly works in the background without needing or wanting attention. She has worked with the dog park, Main Street Matters campaign, and has joined Urban Renaissance. Brandy was also a major force in preparing for the Arkansas Governor’s Conference on Tourism. Dennis Lewis: Dennis is a tireless worker in support of our efforts to retain the jobs in our defense industry. He has worked with the community on BRAC issues for many years. He also volunteers his time and efforts to the local Military Affairs Committee. The committee is a group of civic and business leaders working to keep the local defense industry strong and viable in the future. Dennis also serves as a Governor’s appointee to the Texas Military Preparedness Commission. He is a member of the Red Cross Board and has been active in the work of Red Cross for many years. Dennis serves on the Finance Committee of the First Baptist Church on Moore’s Lane. He is a member of the board of the Texarkana Chamber of Commerce. Earlier in his service as a volunteer, he was a member of the Maud School Board, the local Selective Service Board, and other community activities in Bowie County. Shelby Brown (Wilbur Honoree): Shelby Brown is known for her voluntarism and attitude of servant leadership. Even in the face of cancer, she never stopped giving back to her community and improving the quality of life for our residents. 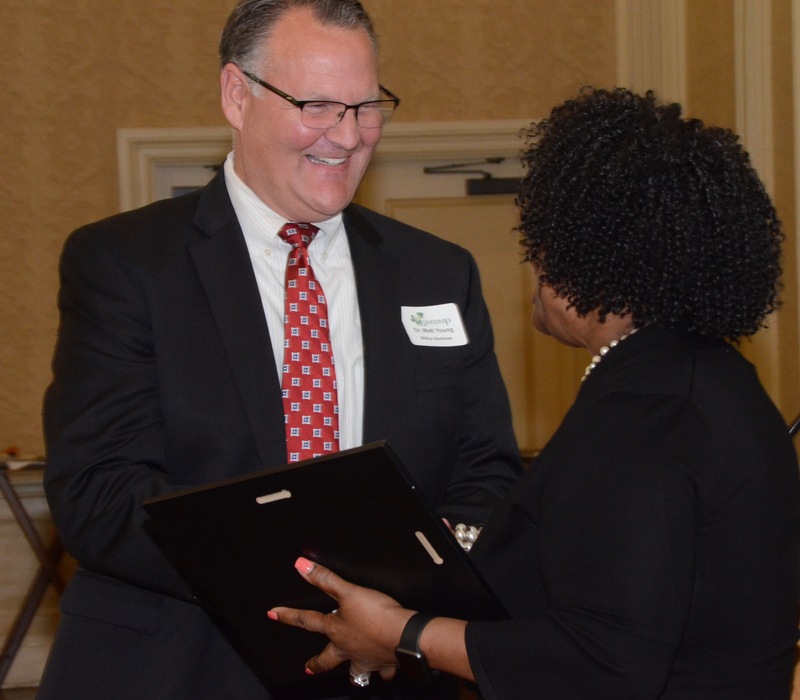 Shelby served as President of the Texarkana Arkansas School District Board and completed fourteen years of service as a TASD Board member this past year. She also served as Vice-Chairman of the Texarkana Live United Board Committee in charge of promotion. She and her husband Allen worked tirelessly to bring the Division II Bowl game to Texarkana. Shelby has been employed with Wadley Regional Medical Center for 25 years as the Marketing and Planning Director. She and her family attend First United Methodist Church where she has served on several committees and taught Sunday School. She is a founding member of Arkansas Women for Education and has served as co-chair for the United Way of Greater Texarkana pledge drive. Linda Crawford: Linda Crawford is the kind of person who embodies the spirit of community. She has been the driving force behind Christ United Methodist Church’s Food Pantry, leading fellow members in serving hundreds of low income individuals each year. Linda has also led the efforts of Women in God’s Service (WINGS), a group of women whose work includes sponsorship of Harvest Texarkana Food Bank’s Backpack Program at both Genoa and Fouke schools. She supports Domestic Violence Prevention Inc., and First Choice Pregnancy Resource Center. Aside from her work with women, children and low income families, she has assisted many of those in our business community during her time as Vice President of Economic Development at the Texarkana Chamber of Commerce. Joseph Morriss: Joseph is an exemplary husband, father, grandfather, and friend. Since retirement in 2007, he can be found every Friday volunteering at the welcome desk at Williams Memorial Methodist Church. Joe continues to be a role model for the boys of Haven Home through the Aktion Club he helped start years ago. He is a lifetime member in Kiwanis International and has received the Hixon award. As of 2015 he has 43 years of perfect attendance in Kiwanis. He has served many years as a member of the Four States Fair Parade Committee and was Grand Marshall for the 2014 Parade. Joseph has also served in the military, worked at Oklahoma Inspection Bureau, and Offenhauser & Company. He is Assistant Scoutmaster of Troop 18, BSA. Joe graduated from Texas High School, attended Texarkana College, and graduated from Illinois Institute of Technology in Chicago with a degree in Fire Protection and Safety Engineering. Joe continues to volunteer in civic activities, ring the bell at Christmas, cooks pancakes for the annual breakfast, and supports the arts and Perot Theatre events. Joe exemplifies the “power of one”. Sara Caller: Sara created and single handedly runs the T.T.A.P. (Tested, Trained, and Adopted Program) at our local high kill animal shelter in a very successful effort to boost adoptions of “less adoptable” dogs. She personally created and spearheaded the Randy Sam’s Garden Expansion Project in an effort to dramatically increase the amount of fresh healthful foods available to our local homeless population. She started and is the director of Faithful Friends Dog Rescue. She focuses solely on extremely at risk dogs with severe medical needs as well as dogs on death row at the local shelter. Sara is a world changer and works tirelessly in every effort that she undertakes. Lauren Allison (Wilbur Honoree): Lauren Allison is a 17 year old junior at Pleasant Grove High School. She is very active in the community and also volunteers for her school and church. Lauren continues to maintain a 4.0 while performing many duties in the community. Her volunteer work includes Susan G. Komen Race for the Cure, Christus St. Michael Hospital, Randy’s Sam’s Shelter, Running WJ Ranch, Maggie Cobb Race, and the Domestic Violence Prevention Center. Lauren is Vice-President of her class, a member of Student Council, and the Showstopper Dance Team. She reads to elementary children and assists teachers in the summer time. Lauren was the winner of TRAHC’s Write-On Writing competition and nominated for Today’s Youth/Tomorrow’s Leaders. Brady Martin: Brady is an eleventh grader at Arkansas High School. He is junior class President and the Student Council President. Brady has participated in many leadership programs including Today’s Youth Tomorrow’s Leaders, Hugh O’Brien Youth Leadership, and the RYLA. He is an integral member of his Destination Imagination (DI) team that has received many accolades for their superior performance at competitions. Brian has volunteered for Race for the Cure, Friendship Center, and kept our community clean through his cleanup efforts along our highways. Brian is an exceptional young man with a great work ethic, who possesses an obvious determination that will undoubtedly lead him to many more successes in his life. Gage Martin: Gage is a senior at Texas High School. He has been actively involved in the Texas High Student Council serving as student body Vice President, Dash for Cash Chairman, Community Cafe coordinator and has held other leadership positions over his four year participation. Gage is a member of the Order of the Arrow and National Honor Society. As part of his leadership skills, he was awarded the Balfour Leadership Award. Gage has aspirations of becoming an officer in the United States Navy specializing in warfare/special operations. Gage is also a student in the H. Ross Perot STEM Academy where he excels academically. Jon Michael Pardue: Jon is a senior at Texarkana Arkansas Senior High School. He is on the Principal’s Advisory Team and the Student Council. Jon plays football, runs track, and volunteers for “Get out the Vote” for his political party. Jon was selected to attend Arkansas Governor’s School and qualified as a commended student for the National Merit Scholarship Program. Jon has a strong work ethic and a great concern for people. He volunteers his time to assist others and to make sure that their needs are met. His greatest passion is to make the world a better place. Jon has shown this through his commitment and dedication to his academics and the fact that many teachers and administrators seek him out to serve in leadership roles and on leadership teams. Express Employment Professionals (Winner): Express Employment Professionals is truly a giving, serving, and community-vested business and represents the true power one company has to impact an entire region. Their exemplary list of sponsorships and involvements the company is contributing to the Texarkana area residents and civic organizations includes: Opening of first ever On Campus “Career Center” partnering Express and Texarkana College which improves the connection of graduating students to employers utilizing their education, providing scholarships to both Texas A&M Texarkana and Texarkana Community College; donor to Watersprings Ranch Children’s Home; speakers to high school students annually about job and college preparation; Texarkana Chamber of Commerce Executive Committee; presented Leadership Simulcast for Texarkana College; sponsor of Live United Bowl; sponsor Kiwanis Pancake Day; sponsor of Harvest Texarkana; participates in Rotary Flag Project as a volunteer; sponsor and volunteer of Hands on Texarkana Board Member, Relay for Life; Partners in Education and on the Executive Committee of TISD; Committee Partner and on the Executive Committee for TASD; Economic Development for the Texarkana Chamber of Commerce; Trinity Christian Schools Athletic Foundation Board Member; participates in the LIfT Committee for Leadership Texarkana; “Uniting 2” Texarkanas; Sponsors of the Texarkana Arkansas Baseball Association; TASD–Future Farmers of America, Gave Scholarship to UCA Student –Taylor Everett; Texas Workforce Job Fair Sponsor; Veterans Job Fair Sponsor; Home Builder Association Sponsor; St. Michaels Foundation, National Rifle Association, Young Life Texarkana, Runnin’ WJ Ranch, and Boy Scouts of America. It’s a list born from a practice and attitude of service to the Texarkana community, something which cannot be measured in daily practice. Domestic Violence Prevention: Domestic Violence Prevention, Inc. is an amazing organization. 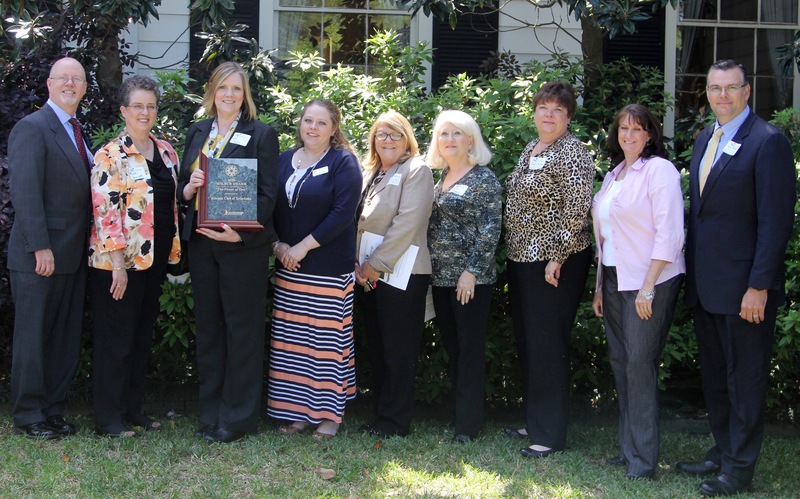 It has assisted thousands of abused women from across the Ark-La-Tex to survive. This organization has rebounded from the brink of demise and is running on a shoe string budget. The volunteers, under the tutelage of its directors, have been able to bring this organization back to a healthy, growing, enthusiastic center. While centers are closing everywhere, this one has been able to not only stay open but to flourish and create other programs. Like the women it supports, Domestic Violence Prevention has been able to pick itself up and continue on. LifeNet: LifeNet, a not for profit organization, provides ground and air services throughout Northeast Texas, Southwest Arkansas, and Western Payne County, Oklahoma. The organization’s emergency and non-emergency ambulance operation currently covers more than 4500 square miles with a fleet of 36 Mobile Intensive Care Units (MICU). In addition to local 9-1-1 transportation, LifeNet provides long distance transfers with its two-medical helicopters. LifeNet continues to lower fees for ambulance services through its subscription program, which also funds the FRO (First Responder Organization). LifeNet offers prevention information such as the Vial of Life and First Aid Safety, and conducts DUI programs and other local disaster drills as well as continuing education for local medical professionals, and participation and collaboration for many public safety and health advocacy initiatives. LifeNet maintains national accreditation through the Commission on the Accreditation of Ambulance Services. Christopher Karam (Winner): Since 2003, Christopher Karam has served as President and Chief Executive Officer of Christus St. Michael Health System. He has more than 30 years of experience in health care, having held a variety of clinical, operational, and management positions in acute and rehabilitation hospitals. Mr. Karam holds a master’s degree in Healthcare Administration from the University of Minnesota in Minneapolis and also holds a Fellowship (FACHE) designation from the American College of Healthcare Executives. He holds a B.S. in food and nutrition, a masters in exercise physiology, and recently added a bachelors in theology. In addition to leading the 312 bed Christus St. Michael System, 64 bed Christus St. Michael Hospital in Atlanta, and 50 bed Christus St. Michael Rehabilitation Hospital, Karam heads Christus Continuing Care, operating in 18 different locations across the U.S. and compromised of five Christus Dubuis Hospitals, six Dubuis Health Systems, two managed long-term acute care hospitals, and 20 Christus HomeCare/Hospice programs. Under Mr. Karam’s leadership, Christus St. Michael has received Magnet® designation, NICHE designation, been nationally recognized as a 100 Top Hospitals by Thomson Reuters two years in a row, named one of the Best Places to Work in the nation by Modern Healthcare for three years, named a “Becker’s Hospital Review 100 Best Places to Work in Healthcare” for two years, received the America’s Best Hospital for Patient Experience Women’s Choice Award for the past three years, and named a “Best Place to Work in Texas,” across all Texas industries, seven times. Toney Favors: Toney Favors is employed at Texas A&M Texarkana, where he leads the Admitting (Director)/Registration Recruitment Departments. 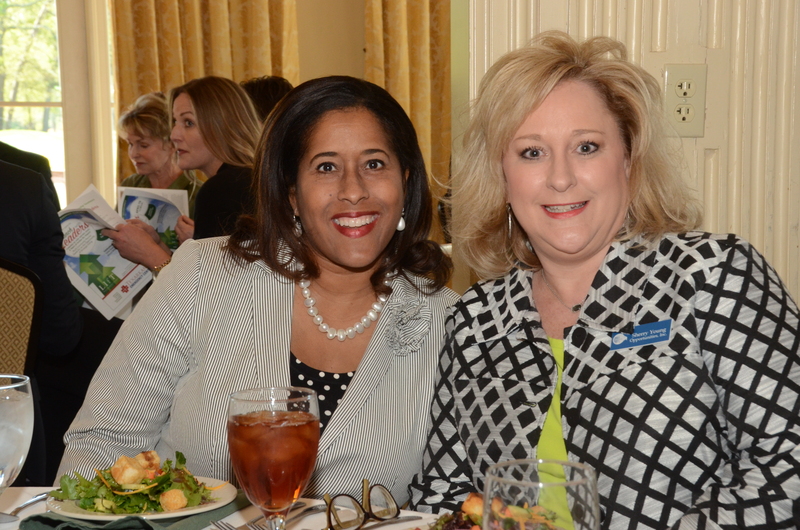 Toney is an outstanding leader in Texarkana and the surrounding communities. He serves as a deacon at Sunset Missionary Baptist Church and as the Ministry Leader of the Count Team. Toney gives tirelessly of himself by serving on various boards and committees: he has served as the President of TISD Diversity Awareness Board to bring a progressive balance to the student/ teacher diversity ratio; he has also served as the Multicultural Association Advisor, providing recommendations and leadership to the citywide Ministerial Alliance. In addition, through his leadership numerous students have been afforded the opportunity to obtain a higher education. Tony serves on the Liberty-Eylau ISD Community Board. He has received the NAACP Award and was recognized as the Distinguished Alumnus from Texas A&M. Craig Jones: Through the exhaustive efforts of Craig Jones, Pleasant Grove ISD has made six consecutive appearances at the State Baseball Tournament under his direction: 2008 State Runner-up, 2009 State Semi-finalist, 2010 3A State Champions, 2011 State Semi-finalist, 2012 State Champions, and 2013 State Runner-up. Under the direction of Coach Craig Jones, Hawk Baseball reached the finals 9 times (2001, 2002, 2004, 2008, 2009, 2010, 2011, 2012, 2013). Coach Jones was chosen 3A Baseball Coach of the Year in 2010 and 2013, and was the Coach of the 2012 Texas High School Baseball Coaches Association All Star Game. Coach Jones was an integral part of the training of the now famous St. Louis Cardinal pitcher, Michael Wacha, when Michael was a Pleasant Grove Hawk. Coach Jones has shaped many young athletes into fine leaders in our community and beyond. He has been a leader for these young athletes to emulate. He continuously gives of himself to support and encourage them to be their best. Paul Keener: Pastor Paul Keener is the owner of the Texarkana Community Journal (TCJ) newspaper. He is a local pastor; an advocate for children; and a man of the highest integrity. Pastor Keener is very focused on community service and informing the community about important local and national events. Pastor Keener also recognizes people for performing community service and accomplishments they may have reached in or outside of Texarkana. He is a giving person and willing to work with anyone who is trying to make a difference in Texarkana. Ben Norton (Winner): One of many projects Ben has headed up was a collaboration between Texas High & Ark. High, leading a book drive for Texarkana’s public library that resulted in over 5,500 items donated to the library in just two weeks. In addition to participating in Special Olympics, Ben led a project to expose high school students to developmentally challenged people through a special day for those individuals at Opportunities. Ben has helped feed the homeless, participated with Race for the Cure, and has volunteered over 300 hours just this year. Ben received the Texas Student Achievement Award and 17 awards for Academic Success. Ben earned the rank of Eagle Scout with Boy Scouts, became a Junior Assistant Scoutmaster, and went on to earn the Bronze, Gold, and Silver Palms. Ben has been a part of Student Council throughout high school, as well as the Texas High Varsity Tennis Team. This year, he founded the Texas High Presidents’ Council to give every organization a voice in decisions regarding school activities. Ben attended Texas Boys State; he received the Texas Student Achievement Award. Named a National Merit Scholar Finalist, Ben has been offered several academic scholarships. Ben helped form the Tiger Swing Dancing Team; and is president of THS Helping Hands. Ben is a consummate leader. Emily Andrews: Beginning as a freshman at Arkansas High, Emily helped the administration transform an ailing theatre program, tirelessly supporting the department since by building sets, promoting plays, acting, even serving as a student director. Emily also helped launch the Border City Book Fest which collected over 5,000 books, CD’s and DVD’s for the Public Library; she devoted countless hours to publicizing, collecting, and delivering thousands of items to the library. After attending Solar School, learning to set up, install, and lead a team in a developing country, Emily became a member of Solar Under the Sun Young Adult Haiti Team and travelled there for seven days, to bring light and clean water to the islanders. She plans to join a medical mission trip to Uganda this summer. Besides an extensive resume of service, Emily is #6 in her graduating class. Benjamin Gladney: Benjamin Gladney is very active in the community by serving at nursing homes, Randy Sams, and he participated with Race for the Cure. Benjamin is currently employed with Minton’s Sportsplex. 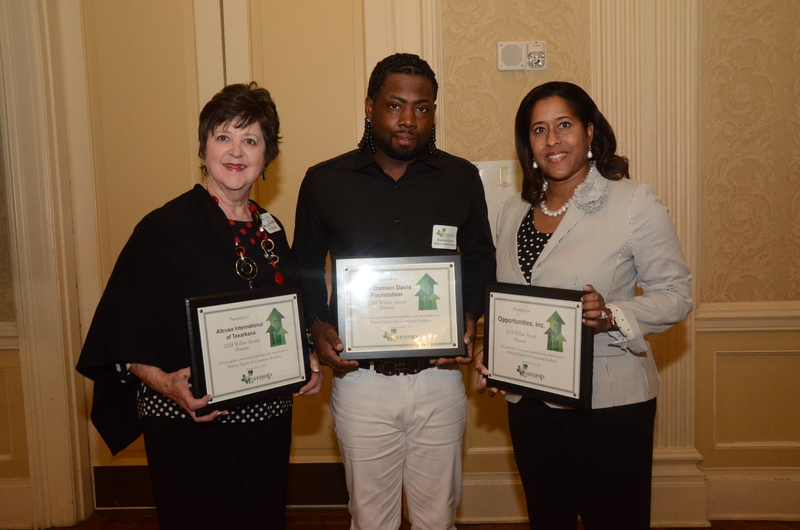 Benjamin was recognized by the Delta Sigma Theta Sorority as the “Outstanding Young Man” of 2013. He was selected to serve on TISD’s Strategic Committee for the District. Benjamin is the Youth President of the Sunset Baptist Church Choir and he is one of the media technicians at the Church. Benjamin has been a Junior Volunteer for 3 years at CHRISTUS St. Michael, and is on the Student Council at Texas High School. He is also a part of the TISD STEM Academy. Benjamin possesses both intellectual and social skills, and is well liked by his teachers and peers. Benjamin serves as a role model for his siblings and his peers. Alexandra Miller: Alexandra Miller is a wonderful role model for young women. She has held multiple pageant titles, including Miss Teen Texas. Her platform was increasing awareness of Multiple Sclerosis and raising money for a cure and sponsored a fundraiser called “One Step at a Time.” She was named Texarkana’s Outstanding Teen her junior year. Alexandra volunteers with Temple Memorial and participates in school clubs in Leadership and Student Council. She helped to clean up Bringle Lake so Texas A&M Univ –Texarkana could happen and participates in the Susan G Komen Race for the Cure. Ms. Miller is a member of the Showstopper Drill Team and a long time dance member of the Judith McCarty School of dance, earning countless awards with both. Alex cares about others and her community and is the leader that others aspire to. Cross View Baptist Church: The members of Cross View Baptist Church have been a critical part of the Harvest Texarkana Backpack program for a number of years. Each school year, a group of volunteers descends upon Harvest Texarkana weekly to pack school bags with non-perishable items to distribute to children in need. As the Backpack Program has more than doubled in size, Cross View Baptist has responded in kind by increasing the number of volunteers and hours they work. They work tirelessly without question or complaint and can often be found working on other projects at Harvest Texarkana, in addition to stuffing backpacks. Their efforts have allowed Harvest Texarkana to serve more youth with fewer tangible resources, and they are a vital component for Harvest Texarkana’s mission to serve. Target Store Community Volunteers (Winner): The Target Community Volunteers are among one of the largest and most active volunteer groups in the greater Texarkana area. Led by Renea Booker and Cheryl Gildon, there is seldom a non-profit event that Target is not participating in. They have volunteered for Harvest Texarkana’s Taste of Texarkana, as well as the Literacy Council Spelling Bee, Race for the Cure, United Way, and so many others. Last year alone they were responsible for 34 events totaling 1702 volunteer hours through 470 volunteers made up of Target Team Members, families and friends. Ann Atchison Nicholas (Winner): Ann Atchison Nicholas is a committed public servant who is also known for her dedication and service to the community, especially in relation to the arts. Currently employed as the County Clerk for Miller County, as well as a ballet instructor at the Judith McCarty School of Dancing, Ms. Nicholas also serves on various Boards such as the Oaklawn Rotary Club, Texarkana Community Ballet, and HandsOn Texarkana. When she is not working or serving as a board member, Ms. Nicholas can be found providing numerous other charitable services, such as choreographing children’s theater, preparing meals for home-bound veterans, or working in the Agricultural Learning Center at the Four States Fair. Interestingly, Ms. Nicholas choreographed the very first Wilbur Awards in which Mr. Smith himself danced. Chrystal Sloan - was honored with a "Silent Smith" Award. Most recently known for her dog park activism, Chrystal Sloan also works for the two-legged community in a number of ways. Currently, Ms. Sloan serves the greater Texarkana area through her participation in agencies such as the Arkansas Municipal Auditorium Commission, CASA of Northeast Texas, Inc, and Main Street Texarkana. With a passion for interesting and unique community projects, she recently co-founded Urban Renaissance, a downtown art group responsible for the Little Doors project designed to attract positive attention and conversation about downtown Texarkana. Ms. Sloan is an active and avid user of social media to promote her causes, utilizing Facebook, YouTube and other sites to champion upcoming events and activities as she works behind the scenes to encourage all Texarkana residents to work together for the greater good. Fay J. Durant: Fay J Durant is the perfect example of a community leader. Generous not only with financial gifts to multiple organizations, he is also generous with his time, leadership, and business mind to many as well. Mr. Durant has been a faithful board member to Harvest Texarkana and the Alzheimer’s Alliance for several years, as well as a long-time Rotarian and Paul Harris Fellow. Having served at the Rotary district level several times, he works to keep all of the Texarkana area clubs healthy and vibrant. Mr. Durant was also instrumental in operations for the Texarkana Bandits hockey team in their time, offering many of the players a home-away-from-home in his personal home. He never hesitates to offer his resources to help organizations he sees as ‘doing-good’ and is a vigilant steward to ensure the resources are truly achieving whatever purpose is intended. Mr. Durant moved to Texarkana to build a business many years ago, and succeeded in not only building several businesses but the community around him as well. Judge Joni Haldeman: Judge Joni Haldeman is a lifelong resident of DeKalb, Texas, and has made an outstanding difference in her town and neighboring communities through her public service. Appointed Municipal Judge of the City of DeKalb in September of 2006, she is a constant voice for community improvement projects, especially as chairperson for the annual Oktoberfest celebration that has given thousands of dollars to local charities and organizations, such as Bowie County Child Protective Services, DeKalb HOPE, Boy Scouts and Girl Scouts, and many other local organizations. Judge Haldeman has also served as the President of the DeKalb Chamber of Commerce and is committed to preserving the history of her town and surrounding cities. Having served as both a reporter and editor for the Citizens Tribune/ DeKalb News and locally known as a walking Rolodex, Wilbur would have been proud. LaRhonda Hamilton: LaRhonda Hamilton is an exceptional person with a great zeal and love for the youth in our community. As a member of Zeta Phi Beta Sorority Inc., Ms. Hamilton has served as the Chairperson over the Youth Auxiliary, the Texas Youth Regional Director, Coordinator of Sister Evolved, and has volunteered with organizations such as Literacy Council, Diversity Awareness, Tiger Mentor and Junior Achievement. She is currently employed as a child abuse investigator with the Arkansas Department of Human Services, and has also served in our nation’s Armed Forces. Even after witnessing sometimes unspeakable trauma to children, Ms. Hamilton still believes in the children of our future and that all children can grow spiritually, socially, and academically. Erica Jackson: Erica Jackson is an 11th grade student at Texas High School and an active volunteer in her community. She plays flute in the Tiger Marching Band, and is a member of Top Teens of America, an organization focused on the development of future professionals and leaders. As a sophomore at TISD, Erica was recognized as Volunteer of The Year and received the REACH award for her number of volunteer hours. She volunteers with a number of agencies, including the Friendship Center, Theron Jones Early Literacy Center, and Domestic Violence, Inc. When asked her motivation, Ms. Jackson said “I have so much and others needs so much and I know how important it is to help others.” Recently, she helped found “Warm Hearts”, a coat drive which provided approximately 100 new coats to local elementary school students. Upon graduation, Ms. Jackson plans to attend Stephen F. Austin University to pursue a degree in Elementary Education and was recently featured in “Her Magazine” as a Rising Star. Kelly Burnett (Winner): Kelly Burnett is a senior at Texas High, in the first graduating class of the H. Ross Perot STEM Academy, and ranked second in her class of 394 students. She is involved with three honor societies and serves as an Ambassador for National Society of High School Scholars. Her original research has become a part of the curriculum and she is an author and illustrator of a children’s biography about Texarkana native and acclaimed investigative reporter Jerry “Boo” Mitchell, Jr. She has received numerous awards, including being named a 2012 NASA Aerospace Scholar. Ms. Burnett’s greatest legacy as a student leader may be the founding and direction of the Young Philanthropists’ Club. At the age of ten, Ms. Burnett became very ill and was out of school for over three years. Upon returning, she gathered 25 of her friends and encouraged them to pool $10 per month each, to be used for community needs. Today, membership has grown to over 70 members from two local school districts and the members have donated over $6,000.00 to organizations like Pennies for Patients, Opportunities, Inc., and Runnin’ WJ Ranch, as well as providing $500 cash scholarships for four local graduating seniors. The Young Philanthropists do not accept donations, stage fundraisers or sell products; every penny is earned by their individual labors. 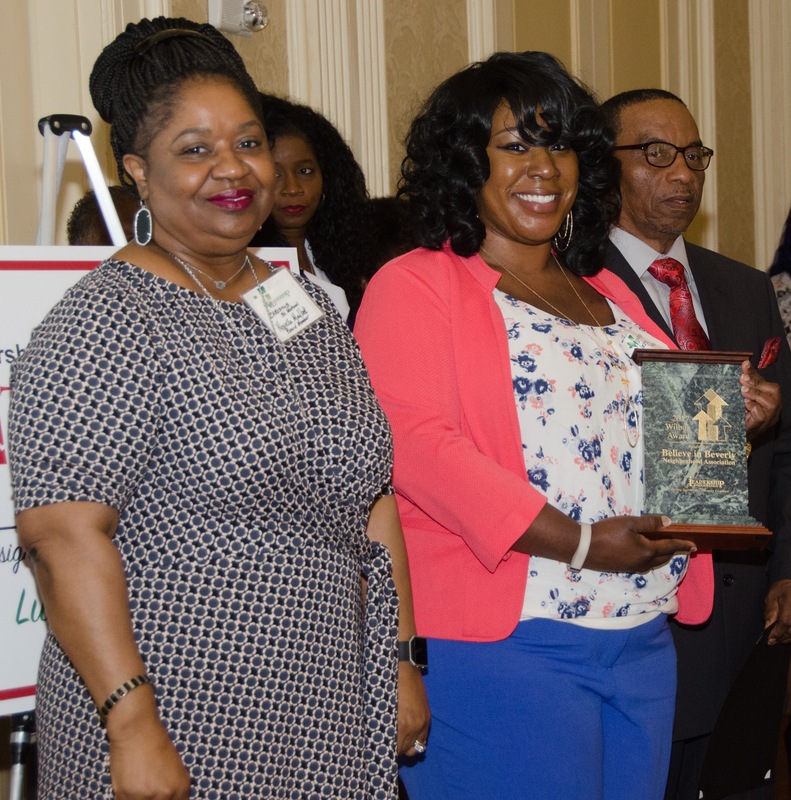 The Wilbur Award for service by a group was given to the TRAHC African-American Committee, whose mission is to provide annual humanities programs with a focus on African-American Culture. The Committee is recognized for their strong efforts to ensure that they have representatives from all areas of the city. Their sponsored events are offered as family-oriented and free opportunities to experience the African-American culture. A Wilbur Award was presented to Josh and Diana Morriss who embarked on a labor of love in downtown Texarkana with the restoration of the Silvermoon on Broad. The project has brought a historic railroad worker’s hotel back to a unique and stunning meeting place downtown. It is a personal investment in the revitalization of downtown with a true impact on the city. The Morrisses are also known for their community service with organizations such as the Wilbur Smith Rotary Club, TexRep, and Fellowship Bible Church. Also recognized for his outstanding service to the community was Wilbur finalist Nick Blain, Superintendent and exemplary leader of the Liberty-Eylau School District, a dedicated educator willing to eschew the leisure of retirement to answer the call of his beloved community to return, once again, to the top leadership position. This year’s Wilbur Award for Youth Leadership was given to Catherine Stephenson. Ms Stephenson, an honor student in the Texas High STEM Academy, is involved in numerous organizations in and out of school. She serves as a leader and volunteer across a broad spectrum of interests. She is being recognized as a strong representative of the ‘Power of One’ due to her personal initiative and strong service. 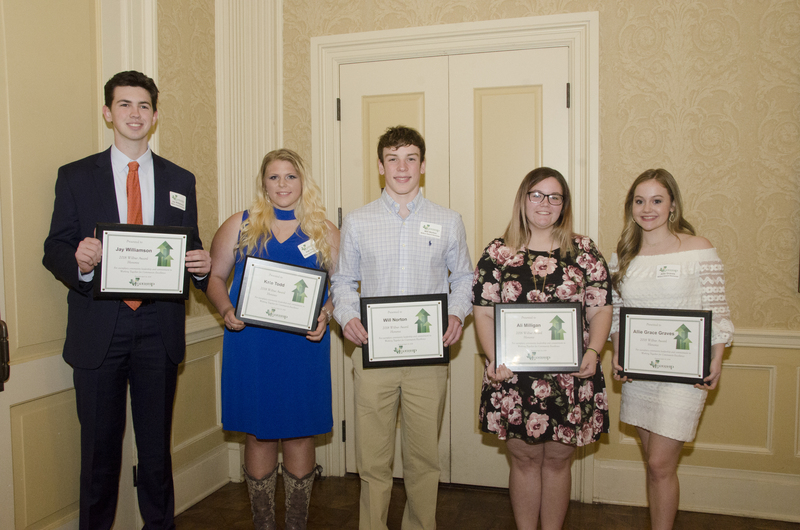 Other youth honored as finalists were Caylon M. Nicholas, an honor society senior at Texas High School and Morgan Utsey, an honor roll freshman at Liberty-Eylau High School. The adult winner of the Wilbur Award was Borden Bell. Mr. Bell was nominated in honor of his longtime service on the Christus St Michael Board of Directors and the Texarkana College Board of Directors. Mr. Bell has also served the Texarkana Symphony, TRAHC, and the Sulfur River Authority and is a Sunday School teacher at First United Methodist in Texarkana, AR. The Wilbur Award for service by a group was given to the Youth Group from First Presbyterian Church of Texarkana, Arkansas. 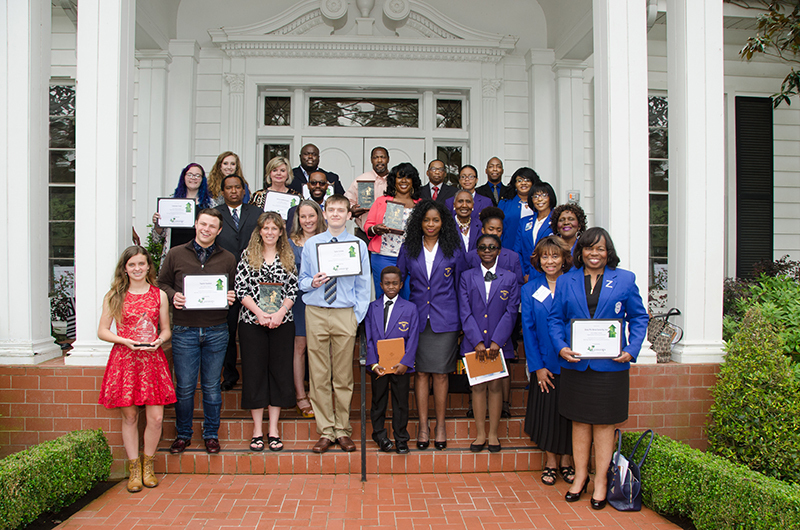 This group of 20 teens was recognized for their various activities in the community including the adoption of the Rose Hill Cemetery, their work at Randy Sams Outreach Shelter, their Thanksgiving food baskets, and their work at the Vera Lloyd Presbyterian Home and The Texarkana Animal League. 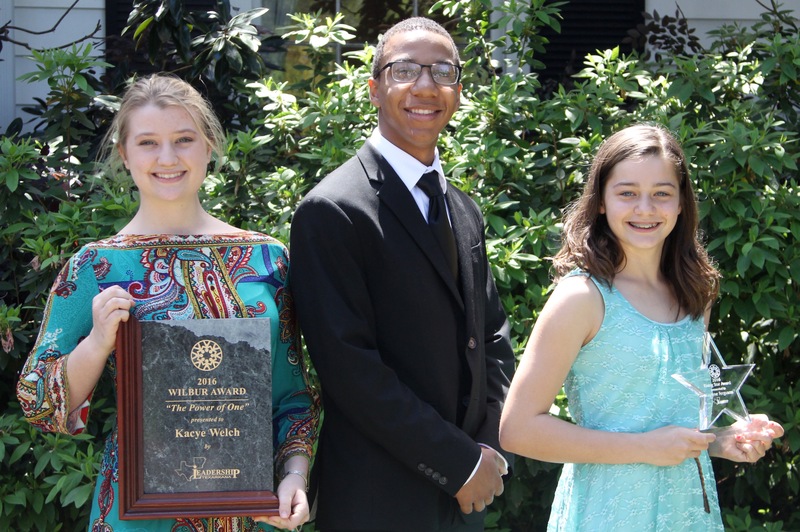 This year’s Wilbur Award for Youth Leadership was given to two deserving recipients. Cicely Shannon was selected as a recipient due to her efforts in developing a reading program and garden at Henry’s Day Care and her long demonstrated dedication to the Girl Scouts of America. Miss Shannon, a student at Texas High School, is a Coca-Cola Scholarship Finalist. The other recipient of the Wilbur Youth Award is Shannon Brewer. Miss Brewer, an honor student at Texas High, was selected due to her numerous recognitions for academic and community leadership achievements. Ms Brewer founded non-profit PAL/Players and Listeners and is active in numerous clubs and societies at Texas High and has served as a previous Miss Teen Texas and is a Girl Scout.